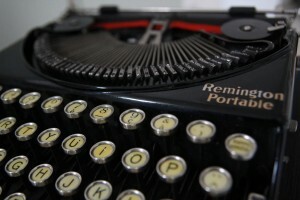 @CoolCatTeacher, aka Vicky Davis, wrote an excellent article on tips to help the writing process. Like us, Vicky is a big fan of dictation in Google Docs as a way to help slow typists write assignments faster. We wanted to briefly share here two more tools Vicky discovered which constitute valuable writing tools for students. 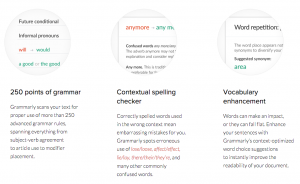 Grammarly is a free spell checker and grammar checker which can be used as an extension to your browser. 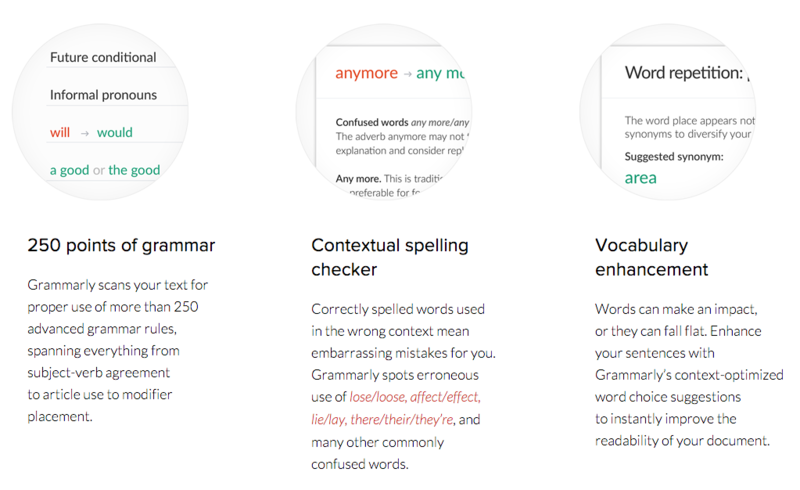 Grammarly allows you to correct grammatical mistakes while catching contextual spelling errors and poor vocabulary usage. Thanks to the extension, it works everywhere online, including Google Drive. It also includes a thesaurus to enhance word choices. 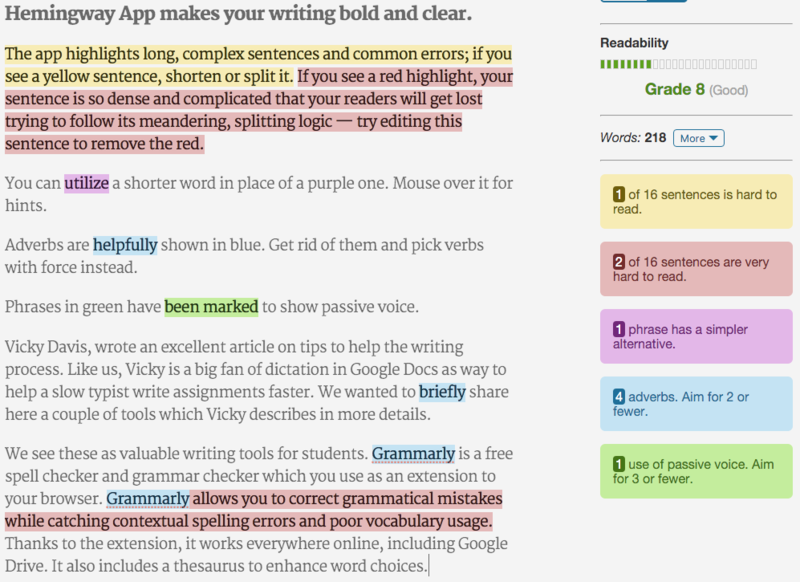 Additionally, Vicky coaches her students to use Grammarly to check the originality of the work they submit. 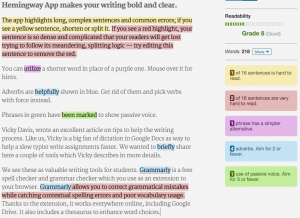 Copy and paste your text into the Hemingway web app and you will be offered color coded suggestions highlighting sentences that are hard or very hard to read, simpler word alternatives, adverb and passive voice replacements. Besides these suggestions, the app includes word count and an index of readability by grade level. A nice feature is the ability to switch from Writing to Editing mode. The former removes all suggestions and provide a distraction-free interface to write with only the most basic formatting options. To find more writing tools for students, read all the writing tips in Vicki’s article on her site and don’t forget to follow her on Twitter!